Equi-N-Ice Bandages are re-useable, therapeutic bandages that give upto 2 hours of cooling, when applied to your horse's leg. To re-use, simply soak in Equi-N-Ice Recharge for 30 seconds & they�ll be ready to use again for 2 more hours. Equi-N-Ice Bandages & Recharge don't need to be refrigerated, aren't messy or irritant & have no unpleasant smell. Equi-N-Ice drops the temperature of the treated leg by 10-15oC; it works by drawing heat out from the limb, rather than by driving the cold in. 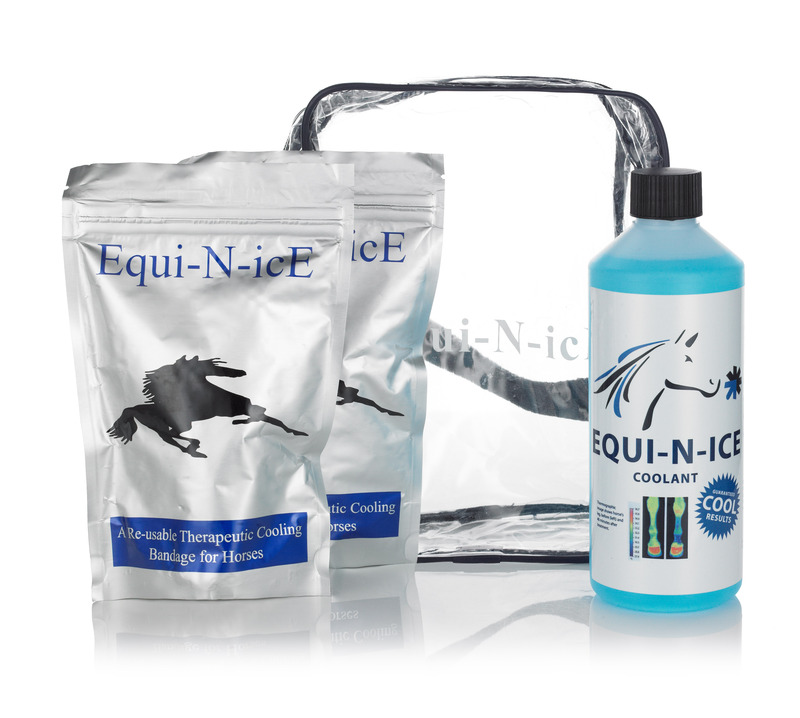 Equi-N-Ice is ideal to provide cold therapy after exercise or injury.